We are pleased to introduce a brand-new FINAL FANTASY XIV original soundtrack that contains all of the in-game music from the Patch 2.X series on one Blu-ray music disc! Featuring music from Patch 2.2 “Through the Maelstrom,” Patch 2.3 “Defenders of Eorzea,” Patch 2.4 “Dreams of Ice,” and Patch 2.5 “Before the Fall” the soundtrack includes over 60 songs and clocks in at a run time of over four hours. 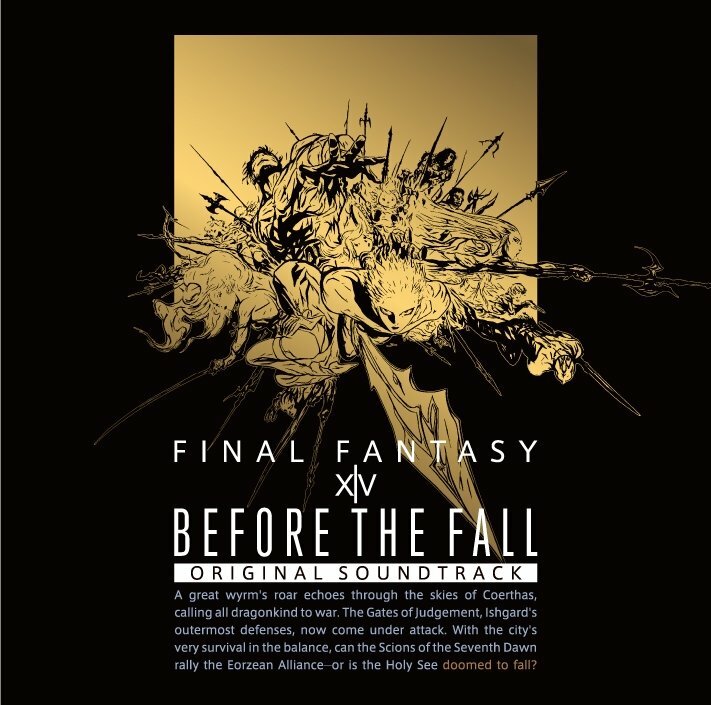 The soundtrack will also include a bonus track that contains footage of the piano recital and live band performance that was held at the FINAL FANTASY XIV Fan Festival in Tokyo, which took place at the Tokyo Big Sight in December 2014. In addition to the high-quality sound and video that you can experience on your home Blu-Ray player, we have included compressed zip files of all the songs in MP3 format (320kbps)! Extract the music files using a Blu-Ray disc player (including the PlayStation®4, PlayStation®3), or a Blu-Ray compatible PC, and take the music on the go in your favorite MP3 player. * Please note that this soundtrack is not a CD. A Blu-Ray disc player is required. * Owners of a Blu-Ray-compatible drive will be able to retrieve mp3 versions of all the tracks. * Please note that this is a Japanese import soundtrack disc. * The item code for digital content has expired on December 31, 2016.